Can you get a pic please? 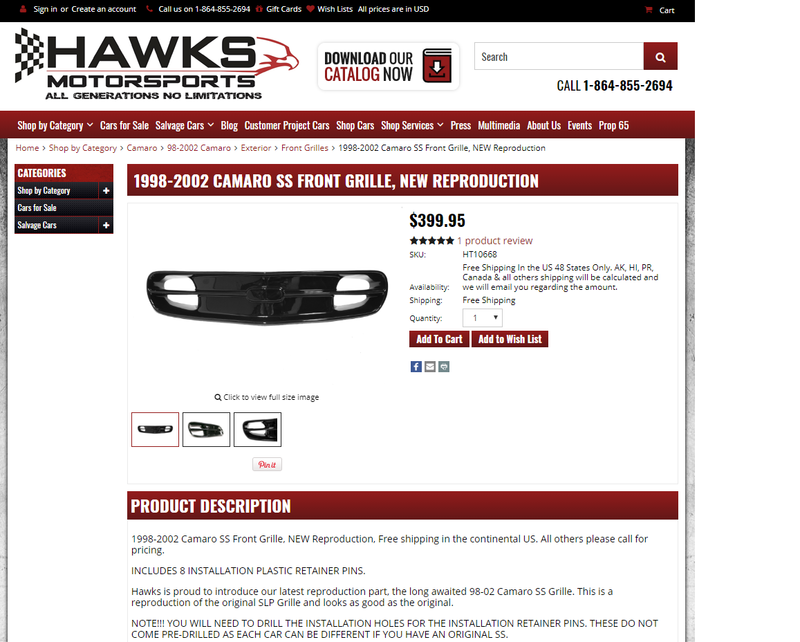 Hawks Motorsports- Brand new for $399.99 unless you don't want to spend that much $$ for one. Nope $399.95 and that doesn't include the hood. Its either a typo or you need to make an appointment to see an eye doctor. No he's talking about the grille that goes in the SS hood scoop, not the bumper. Scheduling an appointment to see my eye doctor..